Welcome kits and certificates are not sent automatically. When you become eligible, you must place your request to receive your Kit. If you have given the MS exam for first time, follow the steps below to order your kit. Step1. First of all check the two emails (Part1 & Part2) at the email-address you have filled during your exam registration. Generally you would receive these emails after 2 days of passing the exam. Step2. Go to Http://www.microsoft.com/mcp and click on the sign in button. You need a windows live or Hotmail Id for login to mcp member site. If you don’t have a windows id, create one by clicking on ‘Sign up now’ button otherwise fill your email id and password and click on sign in button. Step3. 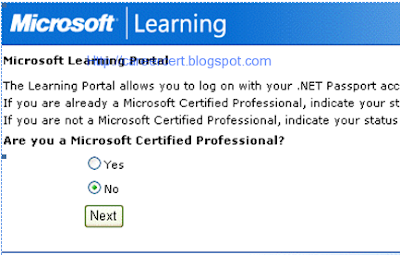 Click yes on “Are you a Microsoft certified professional” page and click next. Step4. Fill in your MCP id and access code which you have noted from the emails and click next. Step5. Fill out the personal information page and click continue. Step6. Click on continue. An activation link will be sent to your inbox. Check your email and click on the activation link. After you have verified your e-mail address the member site migration process is complete. 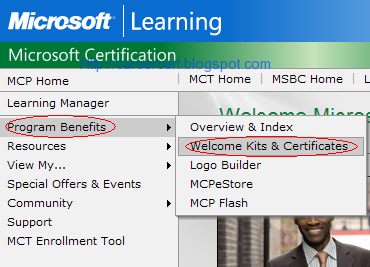 On the MCP home page under the ‘Program Benefits‘ menu click on the ‘Welcome kits and certificates‘ link. Step8. Scroll down the page and check your shipping address. 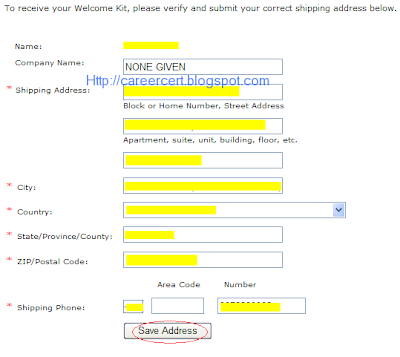 Correct it if necessary and click on Save address button. Step9. Click the check box next to the MCP welcome kit. Step10. Confirm your address, and then select the following check box: I acknowledge that the above shipping information is correct. Click Submit Request. Your shipment should arrive in four to six weeks. Good Luck. 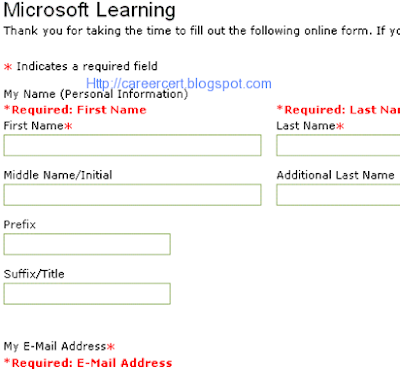 Hi guyz, is there a website around as useful as “careercert” but dedicated to Microsoft? ?